For those who don’t know, the Festivus holiday is from an episode of Seinfeld titled “The Strike”. 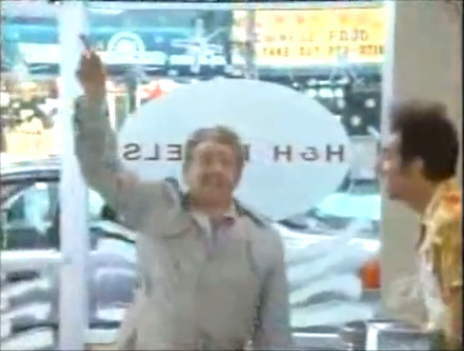 The other plot of the episode is Kramer ending a 12 year strike at H&H Bagels where he used to work. 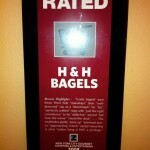 H&H Bagels is a NYC institution that actually exists on the upper west side. 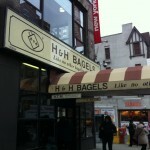 What better way to celebrate Festivus than togo to H&H Bagels? I couldn’t think of one. I haven’t been to many of the popular bagel establishments in NYC to compare, so I can’t say for certain if they are the best in the city or not. I will say it was very good and served very fresh. 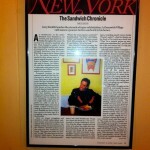 It’s also very likely the first Bagel place I’ve been to with a Zagat plaque on the wall. This may be a new holiday tradition.